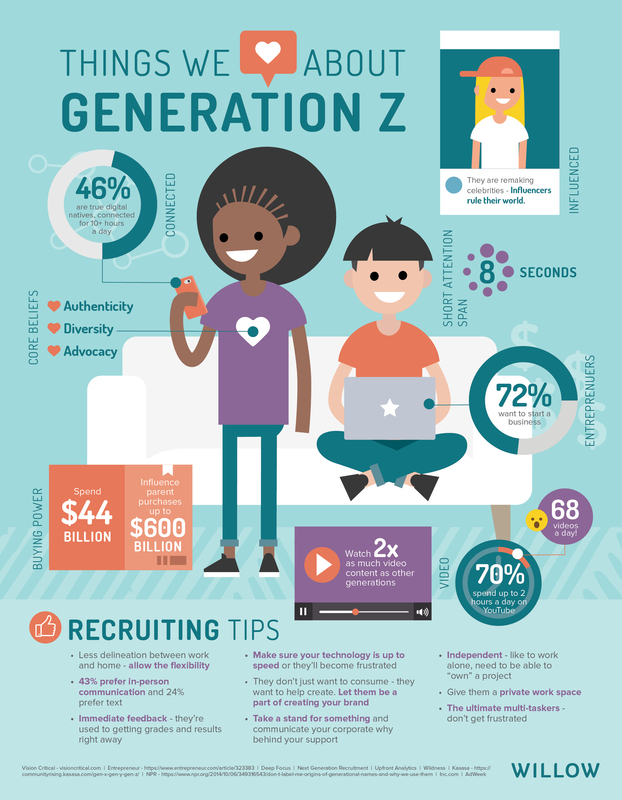 Gen Z is quickly grabbing the attention of marketers – How do we recruit them? How do we get them to buy our product? How can we gain their influence on the purchase decisions of their parents? This generation has grown up with technology at their fingertips, is accustomed to immediate gratification, and is already communicating with people all across the world. There is a lot we can learn about this great young generation. Here’s some of the things we love the most about Gen Z!